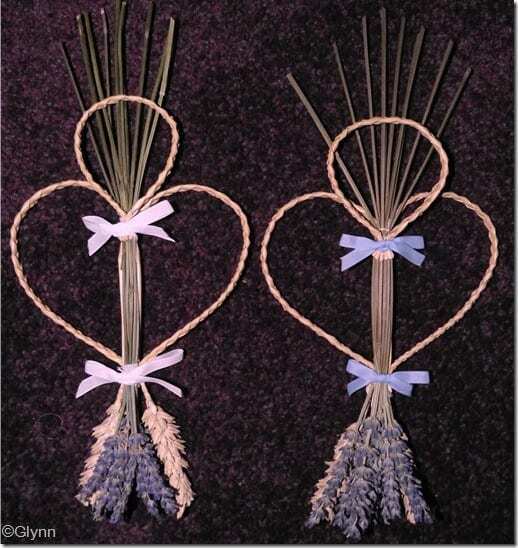 A few weeks ago I published a post mentioning Glynn who likes to make traditional corn dollies from dried wheat, into which he sometimes incorporates some dried lavender stems. He has recently sent me some more lovely photos of his work which I would like to share. A tip he told me when making corn dollies is that the dried wheat stems are more pliable when damp, so best used this way for tight folding such as the plaits in the bottom image. This corn horseshoe is decorated with a little lavender bunch. 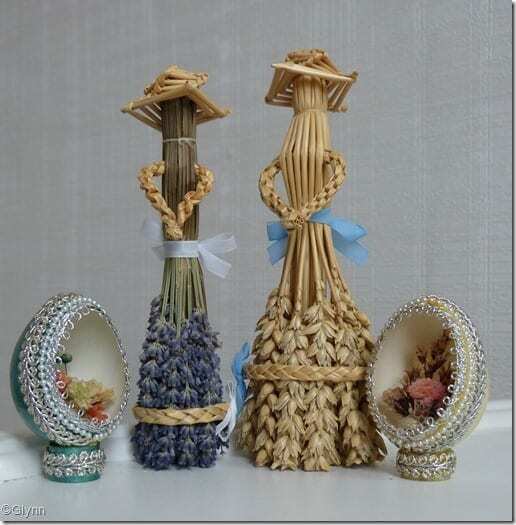 Pretty egg decorations containing a tiny dried flower bouquet. Corn dollies with dried lavender as mentioned in my previous post. This “sweetheart” design is my favourite using corn and dried lavender as it is slightly more abstract than the others. Why not try making your own?